AD 262. The Roman Imperium is in turmoil after the struggle for the throne that brought Gallienus to power. Ephesus, the metropolis of the Eastern Empire, lies in ruins, shattered by a mighty earthquake. Its citizens live in fear as the mob overwhelms the city, baying for blood to avenge the gods who have punished them. Yet an even greater threat to the Empire advances from the north: the barbaric Goth tribes, determined to pillage the city. Only Ballista, Warrior of Rome, knows the ways of the barbarians, and only he can defeat them. 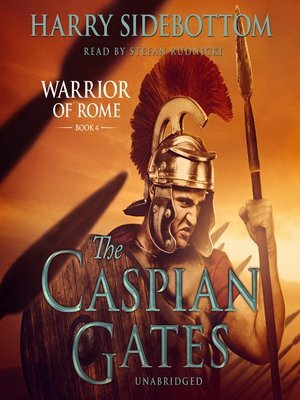 A relentlessly gripping and richly authentic tale of ancient warfare, The Caspian Gates is an adventure for Rome enthusiasts and scholars alike. Widely acclaimed for his Warrior of Rome series, Harry Sidebottom "provides a well-constructed, well-paced, and gripping account...which, as a good series should, leaves the reader eagerly anticipating the next installment" (Times Literary Supplement).